Southwest Florida residents can lend a helping hand prior to the 10th annual WINK News Feeds Families Hunger Walk. There has been $133,20200 raised of an overall $340,000 goal as of January 11. The walk benefits the Harry Chapin Food Bank. 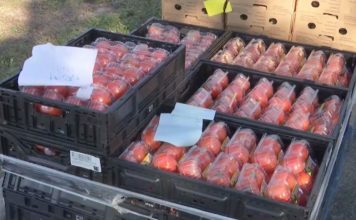 For every dollar raised, the food bank can produce $8 worth of food. 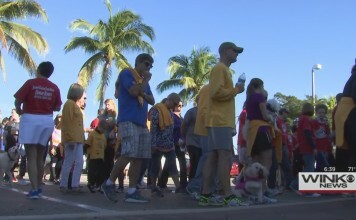 Registration for the walk will take place at 8:30 a.m. and the walk will begin at 9:30 a.m. on Jan. 20 at the Miromar Outlet Mall in Estero. Visit the walk’s website to make a donation or register a team. This year, you can help make the Hunger Walk a successful event simply by participating in the “Meals for Harry” program and going out to eat! Several area restaurants are taking donations, making a donation or donating a percentage of your food bill to the food bank for the walk. Jason’s Deli (Lee County) –Donates 15 percent of sales from 4 to 9 p.m. Sidelines Sports Bar & Grill, 4451 Veronica S. Shoemaker Blvd., Fort Myers – donates 10 percent of sales.